For two years on the trot, Ash Vs. Evil Dead laid claim to Starz’s Halloween slate, serving up a delightfully over-the-top dish of blood, guts, and chainsaw-wielding maniacs. With season 3, though, the network has shuffled its deck in such a way that the horror-comedy series, one rustled up by Sam Raimi, Ivan Raimi, and Tom Spezialy, has now relocated to winter – February 25th, to be specific – for its third year on the airwaves. Exactly how Ash Vs. Evil Dead will fare in this new slot is up for question, but there’s a new threat on the horizon for Mr. Williams and according to Bruce Campbell, it’s the biggest Deadite of all-time. Speaking of which, Campbell went on to explain why exactly Ash is considered to be the Chosen One, even when he has no special skills in particular. Hail to the king, baby! 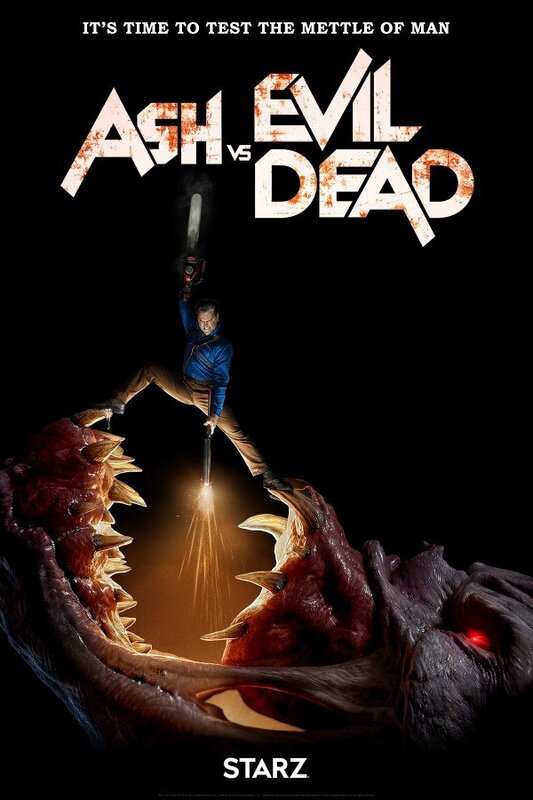 Ash vs. Evil Dead season 3 will premiere day and date with AMC’s The Walking Dead on Sunday, February 25th. Those who prefer to get their undead action on the go will be happy to note that all episodes of Starz’s horror hit will also be available to stream and/or download via the official app.